There are four impressive trim package options available with the 2017 Jeep Compass, each of which offers Uconnect® technology and a 2.4L MultiAir® engine. To help you find out which of these top-notch trim packages have the amenities you’ve been looking for, the team of automotive specialists at our Jeep dealership in Spearfish, SD have compiled a list of the features available with each. If you have any questions before you continue, take a moment to give us a call at (888) 280-6103 and we’ll gladly provide answers. Whether you choose the Sport, Latitude, Trailhawk®, or Limited, you are going to be incredibly pleased with your 2017 Jeep Compass. Take a look at the table to learn more about pricing and feature availability for each trim package available with the new Jeep Compass. Test-Drive the 2017 Jeep Compass in Spearfish, SD Today! Now that you’ve seen everything the 2017 Jeep Compass has to offer, next comes the final step: taking it for a test drive at our Jeep dealership in Spearfish, SD. Head over to our new vehicle inventory to see all of the high-quality Compass models we have available for you to take for a spin. 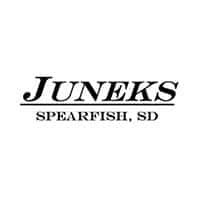 If you have any questions about how to schedule your appointment, feel free to contact Juneks Jeep using the form on our website. You can also give us a call any time during our posted business hours at (888) 280-6103 if you’d prefer to speak directly with one of our team members.